Site Development Niagara Region | Home | Testa Excavating Inc.
For over 30 years locally owned and operated Testa Excavating Inc. has provided residential and commercial customers in St. Catharines and communities throughout the Niagara Region with expert excavation, demolition, concrete, and septic services. As a St. Catharines-based, family-owned company, we take pride in offering site services of consistently high quality. 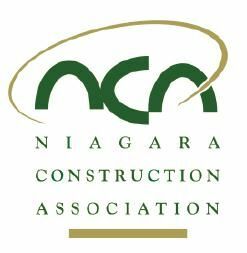 If you are planning a project that includes the installation of water or sewer lines, a septic system, parking lots or building pads, or any other type of site development in the Niagara Region, Testa Excavating can get the job done. Our services include excavation for utility connections, grading, and erosion control; site preparation and clearing; demolition and concrete removal; reliable hauling of debris and construction materials; seasonal snow removal, and much more. We have the equipment, training, and manpower to tackle the big jobs and complete them safely. Our services are available on an hourly or contract basis. Request your free estimate — call Testa Excavating today! Book your free quote today!